shmups.system11.org • View topic - Were any of you able to actualise a 1CC of Strider 2? 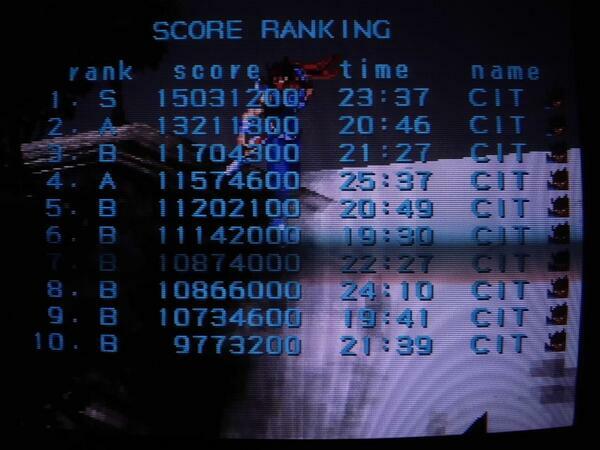 Were any of you able to actualise a 1CC of Strider 2? Post subject: Were any of you able to actualise a 1CC of Strider 2? I've read through a couple of threads here where several of you were talking about wanting to one day do a 1CC of Strider 2, without anyone claiming to have done so. I've never played the arcade version, but I own a physical copy of the PS1 game, and I can say from personal experience that the game's difficulty skyrockets at the final boss. Most of the game isn't terribly difficult, and if you're using save states to practice on the final boss, then a 1CC of Strider 2 sounds very feasible. This game deserves a lot of respect and is very underrated in my mind. Post subject: Re: Were any of you able to actualise a 1CC of Strider 2? In my opinion Strider 2 is the greatest side-scrolling ninja action game ever made. The fluidity of the controls and its sense of ninja badassity are simply unparalleled. I've been able to clear it on one credit with an S-rank. Didn't play the hidden Stage 0 from the PS1 version though. The final boss is actually pretty easy, once you work out his pattern. The final stage is the really rough stretch. Hmm, the final boss doesn't look too rough so long as you prevent him from flying above you and shooting a dense stream of lasers towards the ground. Maybe his attack patterns are different in the arcade. edit: After having reviewed footage from the PS1 port, it does appear as though he has several new attacks that didn't exist in the arcade version. He looks way, way easier in the arcade.